SINGAPORE - When a medical student told him that at her university in Australia, 40 of the 60 international students in her batch were Singaporeans, Health Minister Khaw Boon Wan had vowed on Facebook to "find a way to 'get our kids back' to Singapore". "And I will," he reaffirmed yesterday, sharing with Parliament how he might go about doing so. Singaporeans who want to study medicine overseas, a highly expensive undertaking, could one day be able to tap a Government grant. "The restructured hospitals are studying an idea of offering a pre-employment grant to these medical students, to help them with their cost overseas, in return for a bond to serve after they graduate," said Mr Khaw. According to the Ministry of Health (MOH), about 150 Singaporeans head overseas to study medicine every year. But from 2005 to 2009, only 110 returned after graduation, while another 130 returned after their housemanship or working a few years. In the case of the young medical student that Mr Khaw cited, she had applied - unsuccessfully - to the NUS Yong Loo Lin School of Medicine. Determined as she was to be a doctor, and despite the strain of the more-than-$40,000 tuition fee per year, her parents supported her move to Sydney. While Singapore will continue its "aggressive recruitment" of foreign medical graduates, Mr Khaw wrote in his Feb 9 post, locals like her who struggle financially are also on his mind for some "meaningful" help. The proposal of a grant comes six months after Prime Minister Lee Hsien Loong signalled that Singapore would continue to look at ways to expand the core pool of local doctors, even after raising the annual intake at medical schools here to 350 new doctors a year. This number would still not be enough to cope with a growing and ageing population, Mr Lee had noted. Ms Melanie Tan, 18, now scouting for schools abroad, believes a grant would ease the financial burden of studying overseas, and even sway her mind about possibly not returning to Singapore after graduation. But how long should the bond be? That could depend on the size of the grant offered. Singapore Medical Association president Chong Yeh Woei, who welcomed the idea of the financial leg up, noted that five years of medical school in the United Kingdom could cost at least $500,000. Hospitals would have to work out how sizeable a grant they can afford, said chief executive of Changi General Hospital T K Udairam. MP Lily Neo (Jalan Besar GRC) - whom Mr Khaw credited with coming up with the idea of the grant several years back - suggested the Government could take its cue from the current system where local medical students are bonded for five years after graduation. After Government subsidy, they pay roughly $80,000 in tuition fees for five years, said Dr Neo and Dr Chong. Mr Udairam feels most students would view the bond positively in terms of an assured job after they graduate. Medical student Joel Tan, 21, agreed: "It has become increasingly hard to find internship places overseas especially in Australia, where ... priority is given to citizens and permanent residents." Meanwhile, giving a mid-course update on MOH's $1.5-billion effort to recruit 7,700 more healthcare professionals over five years, Mr Khaw reported that since 2007, headcounts have increased by 44 per cent, There are now eight doctors instead of six per 10 beds, and 26 nurses instead of just 20 per 10 beds. Young doctors can also look forward to better training opportunities, with $120 million to be spent on strengthening specialist training programmes over the next five years. talkback 1 - 3 of 9 responses to "A grant to lure them home?" John PotusUpdated 11:50 PM March 10, 2010Not a good idea to come home. It will be a nightmarish time serving your 5 year bond? in the restructured hospitals. 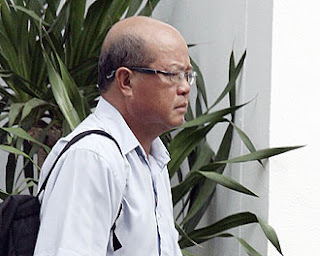 And you will always play 2nd fiddle to those cheap foreign doctors.Report AbuseAnne LiuUpdated 09:10 PM March 10, 2010They take in a lot of PR... PAY FULL Med course fee for them, They become DOCTORS... PRs favourite PRs, Med sch in NUS have n?! % of PR's kid... so... Singaporean pay big bucks send their kid oversea to do Med, OUR excellent local kids become PR of others, contribute to others???!!! now they said short of DOCTORS??? Doctors works long hours!! Where are all those heavy funded scholars/PR? selling food in NUS?? Become chef? Merchant? PAP cannot be WRONG!! !Report AbusehogwashUpdated 05:53 PM March 10, 2010The minister is always behind the curve, reacting only when things get blown up. It has always been known that there is a doctor shortage, and now the beds crunch. Why do we pay civil servants so much to do so little? When is the MOH and the minister going to address the long hours put in by the doctors. Overseas students should do a proper assessment of working conditions before they return. Many will not be able to tolerate the 30+ hours oncall.